Hydrangeas in the rain are so beautiful, aren't they? 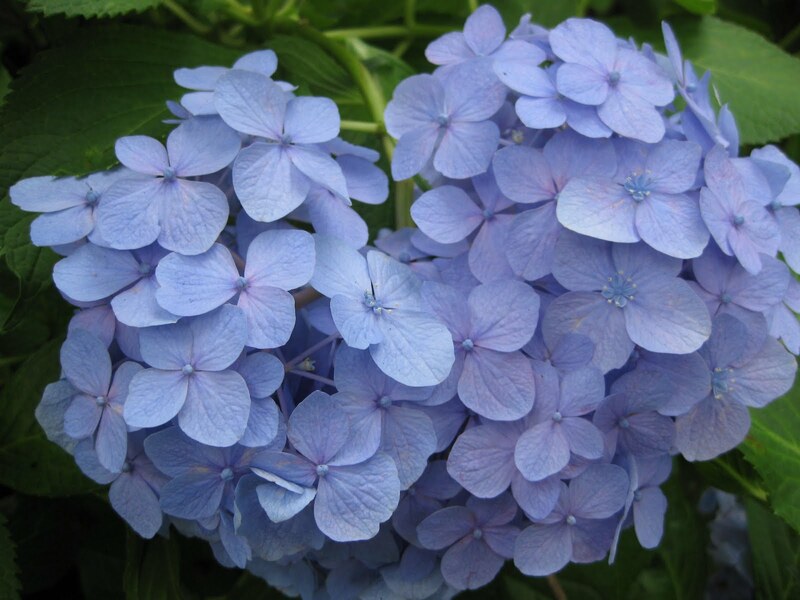 From the middle of June to early July is the high season for hydrangeas in Japan. After the rain, the flowers are washed by the rain and show more vivid colored faces to us. There are some temples known by the garden with hydrangeas. 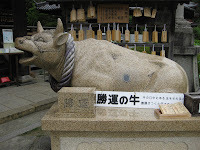 Mimurodo temple is one of them. It is located near the world heritage site, Byodoin temple known as a phoenix hall. The temple is on the hill and you can take a shuttle bus from JR Uji station to the temple during the hydrangea season. 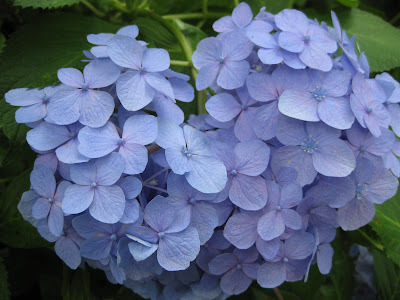 Before visiting Hydrangea garden, why don't you walk up to the main hall? 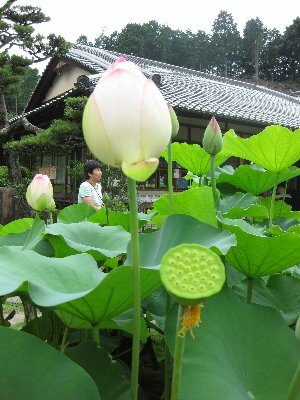 In front of the hall, you will see a lot of lotuses. As you see, Buddha images usually sit on a Lotus Flower. So the view of a lot of lotuses makes us, Japanese, feel something calm. 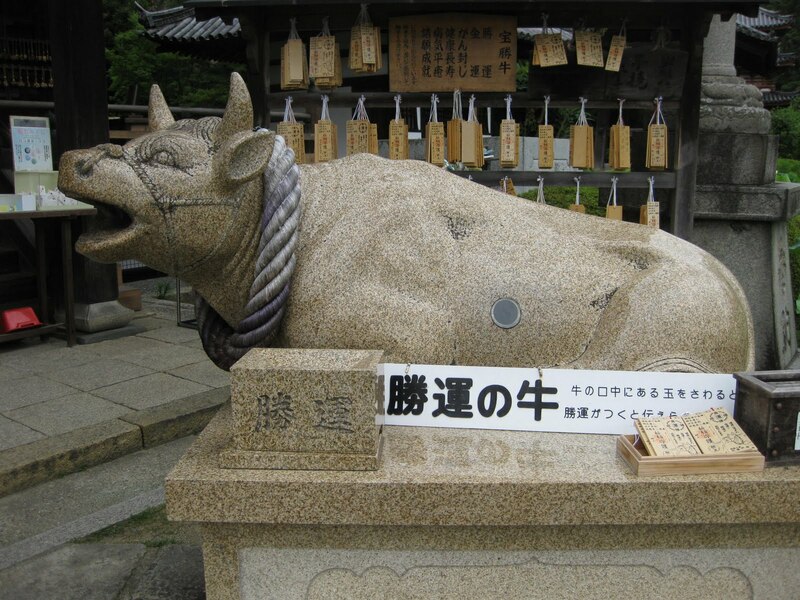 Just before the hall, you will see a stone cow image. This gives us a good luck for a victory. If you participate in a competition, a race, a contest or lotteries(?). Please touch a ball in its mouth and you will gain a good luck for it. Though I don't especially have a chance to take part in something, I touched and wished a good luck. If the god has a good memory, I will win in a race or competition in the future. Till then, I have to keep this good luck. Let's go to the Hydorangea garden. Here you can enjoy 1000 hydorangeas. Before visiting here, I just know only the typical kind of these flowers. When I saw them one by one, I found them so impressive and beautiful. Actually I saw the kind I hadn't seen before. I really enjoyed this beautiful scenary. After I came home, I came to know that there is a heart-shaped hydrangea flower in the temple. When I visit there again ( maybe next year? ), I will try to find it.